You can now buy Hemp Oil Tincture, 600 mg CBD in a 2 oz bottle fitted with a dropper, which has been lab tested and extracted from the naturally grown hemp plant using the CO2 extraction method. 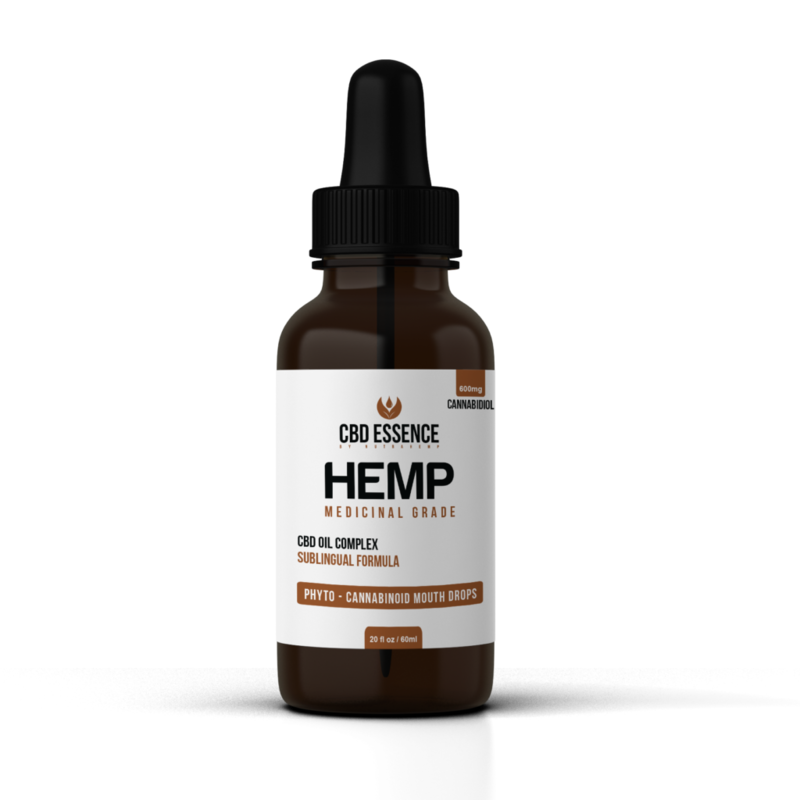 CBD ESSENCE has produced this product with their customers in their mind. The product has been naturally made from hemp plant that has high and naturally occurring cannabinoids commonly referred to as CBD Oil. It is free from THC, the psychoactive element present in illegal marijuana; in other words, it won’t get you high. Every product from CBD ESSENCE is made with the purpose of bringing relaxation and relief to the body and mind of their users. This product comes in a 2 oz or 60 ml amber glass bottle fitted with a dropper at the top. Some other products come in a plastic bottle that is fitted with a sprayer. Migraines: Migraines are advanced headaches that usually makes your eyes too weak to see. This has caused many collapses and faint. The good news is that this product has high levels of CBD that can comfortably handle this pain. Depression: You can terminate the suffering from that advanced level of stress and anxiety by taking this product. When stress and anxiety build up, the result is depression, which can affect your everyday productivity. Insomnia: The 600 mg of CBD content in CBD Edible Hemp Oil Tincture is enough to deal with sleep conditions. Now you can say goodbye to sleepless nights by having this CBD ESSENCE product in your cupboard. Chronic pains: Although we experience a little pain most days, there are some chronic pain conditions that need to be dealt with immediately. Such pains are common in the back and chest muscles. You don’t have to suffer anymore, just buy CBD Edible Hemp Oil, 600 mg, and experience the joy. Arthritis: There is no reason to grin and bear it when it comes to arthritis pains; CBD ESSENCE have a solution for you packaged in this product. No more suffering. Quality: Before this product is released into the market, it goes through third party lab testing to ensure it is safe to take. It has been made from the naturally grown hemp plant, thus there are no artificial additives. Furthermore, it is THC-free. CBD oil is extracted using the CO2 extraction method to ensure quality is maintained. Effect: When taken properly, it can effectively deal with chronic pains, depression, anxiety, stress, arthritis, and sleeplessness, among other conditions. Price: You can buy CBD Edible Hemp Oil Tincture online by clicking on https://hempworldstore.com/cbd-essence-brand-review/. This CBD oil product comes in a 2 oz bottle for only $84. Final Thoughts: If you are looking for a solution to those chronic pains and other medical conditions, you just got one in CBD Edible Hemp Oil Tincture, 600 mg.